We ordered a platter of varied appetizers (codfish croquette, quibes beef croquette, fried rice croquette, cheese ball) which did not have much in a way of taste: the quibe, an influence from the lebanese community in Brazil and a nibble that I am particularly fond of, was a world away from the finest quibe I ever had as it was way too dry and could therefore express barely any flavor (0/10), codfish and fried rice croquette tasted very ordinary whereas exciting codfish and fried rice croquettes do exist, at plenty of eateries BUT … not here (1/10), the balls of cheese boasting a particularly hard consistency I never knew a nibble could have (0/10). The platter of nibbles that you see on the above picture costing a glorious total of 36USD! …certainly not the cost performance of the year. I went for the Moqueica de peixe 26.5USD which is basically a coconut based stew with fish as the protein. In some regions of Brazil, the Moqueica de peixe is spicier than elsewhere. 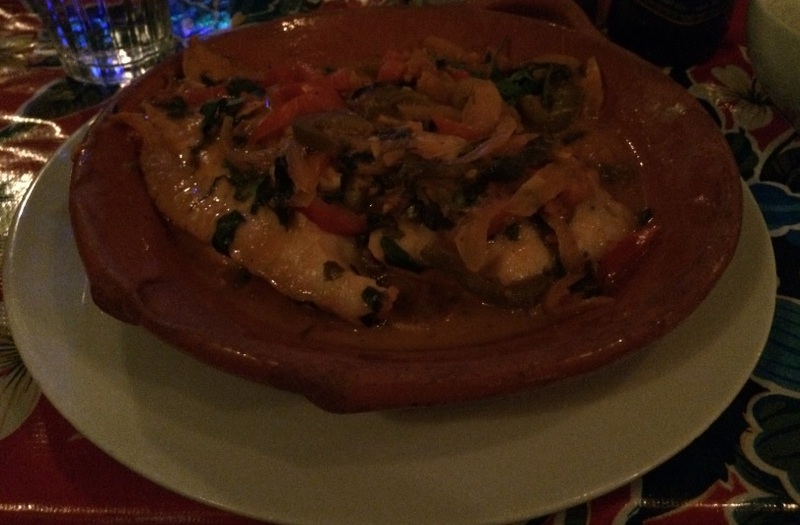 Miss Favela’s Moqueica de peixe was not spicy, which is my preference for seafood stews. This came with an absurdly price tag that was sadly not proportional to its flavor. 5/10 for that dish, which is tolerable (because it was freshly cooked to order) but no more (just a basic stew that anyone could do at home, but priced as if it came from a restaurant that would make the top 10 of a big western city). Tolerable being actually a very generous statement. 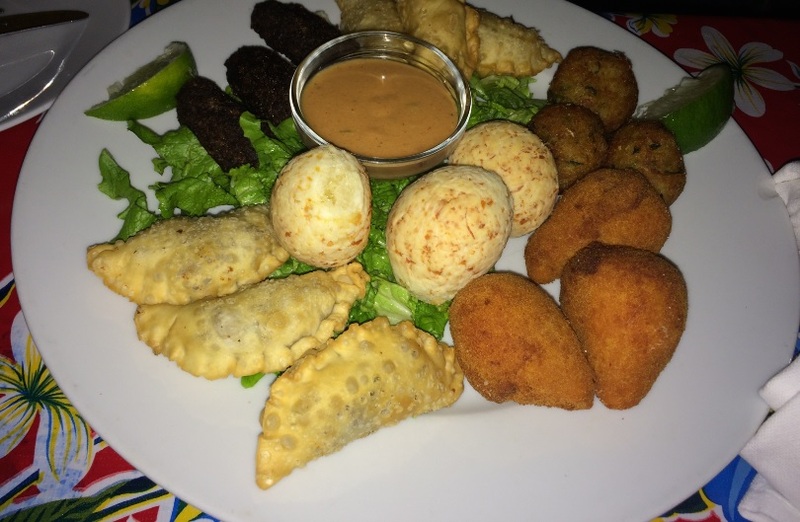 At plenty of Brazilian restaurants in North America, I had more flavorful Moqueica de peixe at a fraction of what miss favela is charging, which is what it should be as these are not expensive ingredients. The service was fine but it was laughable to see them adding an extra 20 % service charge on the tab. In comparison, a world class food destination like sushi Azabu would charge 18%. Clearly, with its inflated prices at every opportunity possible, miss favela thinks highly of itself. Just wished I could think highly of its food too. Overall food rating: 2/10 The food was not only uneventful, but to add insult to injury, it had to come at a high price for ingredients that would cost you nothing to buy at the grocery store. The perfect recipe if you want your diner to remember how ridiculously overpriced your food was. My thoughts, weeks later – Ironically, the food that I ordered at miss favela is the kind of food that I am traditionally partial to … because (1) Moqueica de peixe is in my lifetime top 10 favourite dishes as I grew up on a dish that is very similar. Like many people, I tend to perceive the flavors of my childhood as the best ones. So it takes not much for a dish of Moqueica de peixe to seduce ma palate (2) quibe has that same advantage, too, as I love quibe (3) codfish and rice croquettes are my preferred types of croquettes. 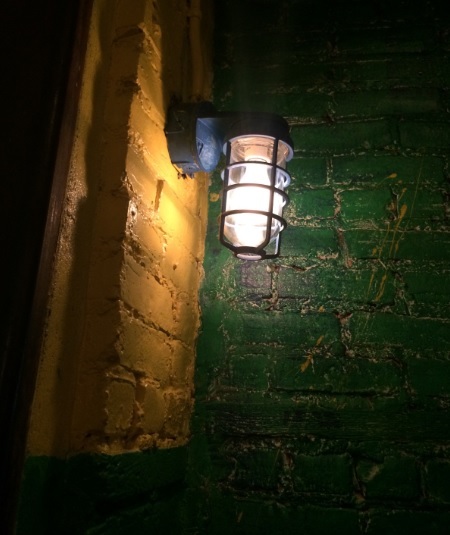 Whoever is cooking at that restaurant should occasionally go out and see how things are done elsewhere and where the level of Brazilian food is at, right now, in New York and its surroundings. Go there ONLY for its enjoyable unfussy tropical ambience (music was great).